Find a variety of shovels, drills, vises, rivet kits, and more. Get started on any job with our wide selection of products by distinguished brands. Instantly find the right tools you need for any job and choose from multiple sizes, weights, lengths, and capacities. 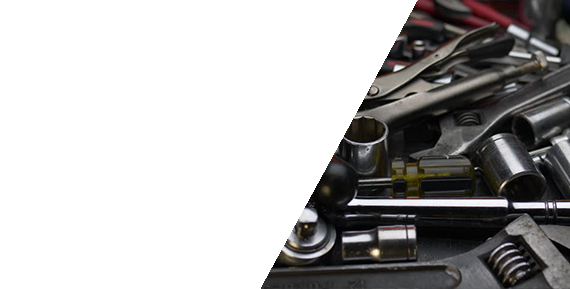 We stock a large quantity of tools manufactured by trusted brands for the automotive and industrial marketplace. Select from nine different shovels to help you get the job done. Whether you’re interested in a square point, round point, grain scoop, sidewalk scraper or a shovel with a Y handle, we’ve got what you need. We make purchasing easy and offer our shovels in bundles of six, as well as replacement handles. Explore our available shovels and get started today. Docap is proud to supply several types of drills, drill bits, taps, dies, and accessories, available in varying lengths, diameters, and packages. Staying true to our commitment to provide high-quality tools and accessories, our Sutton drill bits are designed for drilling stainless steel and other tough materials. We also carry a wide assortment of taps and dies to give you optimum performance. No matter what type of drill or related product you need, Docap has you covered. At Docap, we want to help keep your tools organized. We offer a rivet kit that contains a riveting tool and 40 rivet nuts in a handy plastic case. We also carry a hand rivet kit, which contains a hand rivet tool, and 200 rivets with interchangeable nozzle bushings. Let us be your go-to when on the job. Our selection of bench vises will safely fasten objects and let you work without worry. We offer bench vises made from grey cast iron which are ideal for heavy-duty construction. Whether you need vises in 3”, 4”, 5”, 6” or 8”, we’ve got it. Start operating with this versatile tool today. Explore all of our available tools by contacting our specialists at 905-673-0000. Let our experienced team make your job a success with our expert service and competitive pricing.